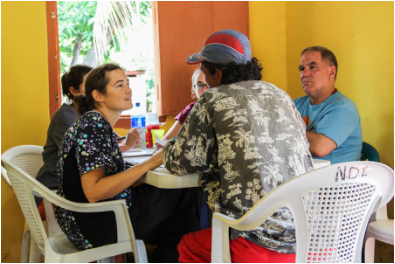 I have just returned from working as the staff physician with Natural Doctors International (www.ndimed.org) in the rural communities of Ometepe, Nicaragua. Through NDI, I was able to help provide free naturopathic medical care to hundreds of appreciative patients in need through NDI's small clinic and the local government hospital. 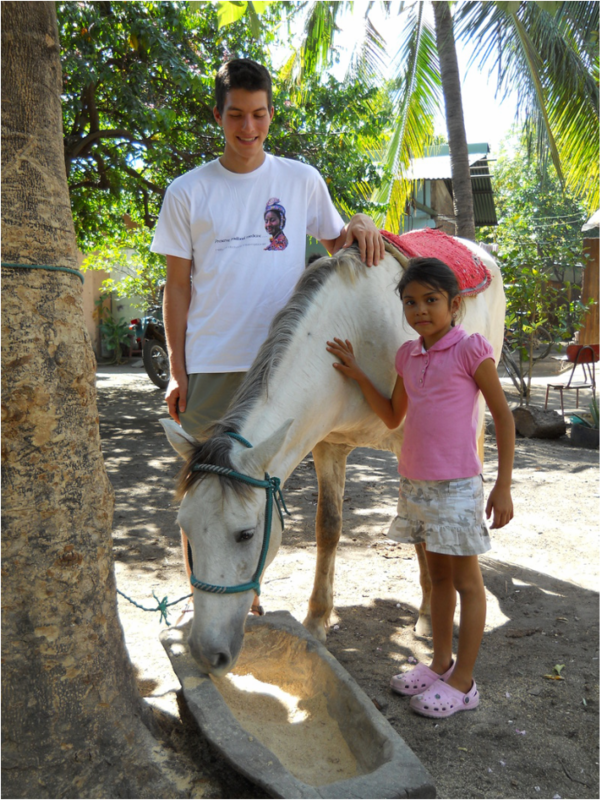 I learned so much from my friends, patients and community while I lived in Nicaragua. A sincere thank you to all who generously supported this work through friendship, prayer, financial and medical donations! Using counseling, education, physical therapies, hundreds of different supplements, herbal, homeopathic and pharmaceutical medicines as well as other treatments specific to each patient's need, we were able to cure many illnesses and help encourage patients towards whole health and a better future for themselves and their community. With the advantage of the natural medicine we provided, patients were able to avoid being inappropriately or overmedicated with antibiotics and pain shots at the busy government hospital. Instead they were empowered to discover and prevent the root cause of their illnesses and improve their overall health. I was also able to contribute to the building of connections between NDI and the government health care workers, local volunteer health promoters and traditional herbalists from all over the country. Most of all I laughed, smiled, loved and made wonderful friends in Nicaragua. It was truly an honor to be a part of this community and serve as a physician. 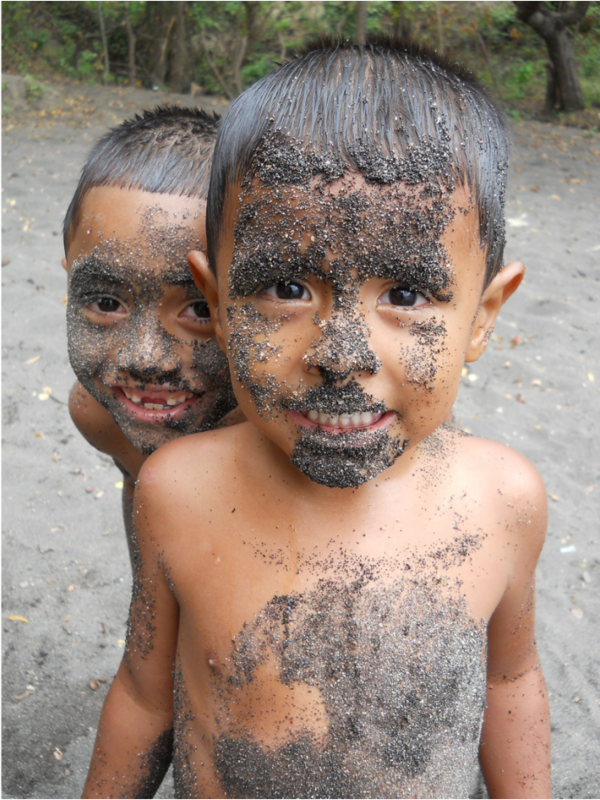 Photos and stories from my time in Nicaragua can be found on the blog tab of this website (use the search category Nicaragua to filter). 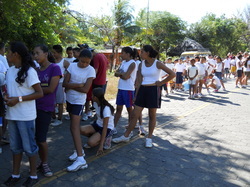 Below, there are also some great photos from a brigade trip I participated in to assist at NDI's Nicaragua clinic, before I joined the community there. 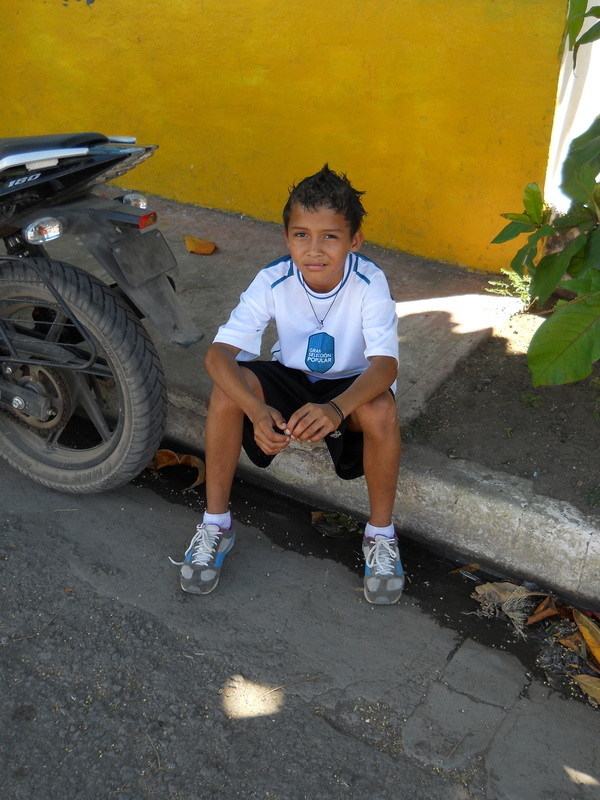 Nicaragua is the second poorest country in Latin America after Haiti. 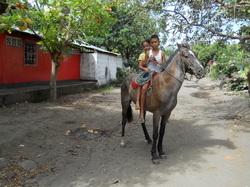 Poverty is largely a rural problem in Nicaragua. Two out of three people living in rural areas (68 per cent) struggle to survive on little more than US$1 per day. The most vulnerable people in rural areas include the families of small-scale farmers and landless farm workers. Unemployment, which averages up to 12 per cent for the country as a whole, exceeds 20 percent among poor rural families. In Nicaragua there are only four doctors per 10,000 people. This is six times fewer doctors than in the United States. The medical care available here is very limited and often times either the appropriate medicine is not available or inappropriate medicines are given. 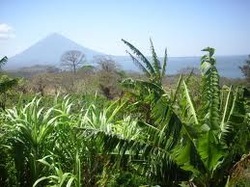 Besides what Natural Doctors International provides, Natural medicine is not available in Ometepe. 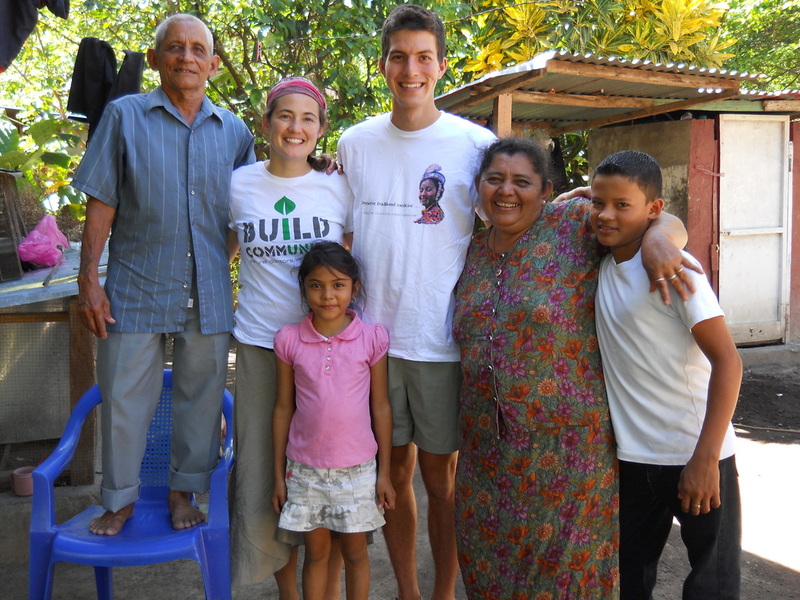 Due to the poverty, most rural Nicaraguans do not have access to clean drinking water. Because of this almost everyone has parasites, giardia and subsequently gastrointestinal problems. Because most rural Nicaraguans cannot afford healthy food, many suffer from diabetes, high blood pressure, heart disease and constipation amongst other diseases. The systems and culture are such that it is difficult to become or stay healthy. Thank you from my heart and the patients in Nicaragua for joining in my efforts to provide adequate health care to the communities NDI serves! 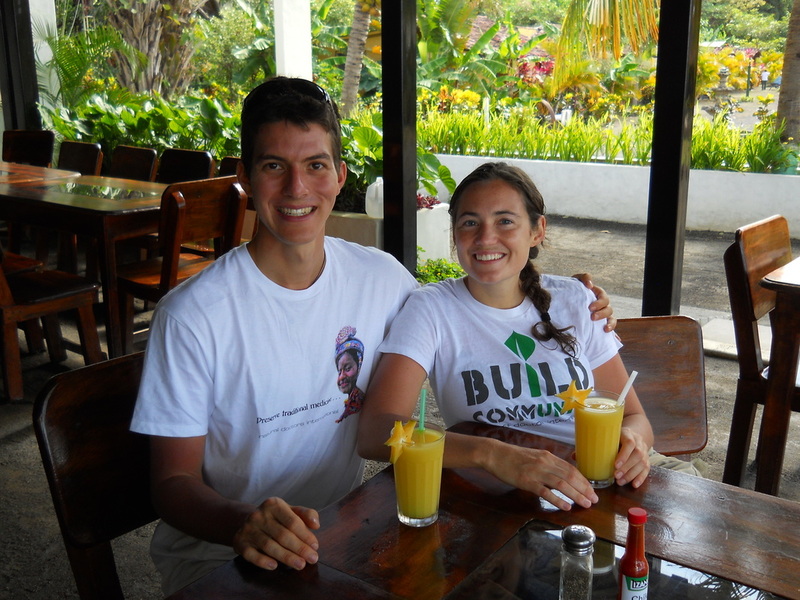 Natural Doctors International is a medical 501c3 nonprofit based on the rural Island of Ometepe in Nicaragua that delivers free naturopathic health-care to the local community, bridging the gap of economic disparity and inequity. I visited this clinic and had the opportunity to help and learn from over 177 patients in February of 2012 (please see my photos and stories below). NDI also offers training in global health by offering “Global Health Brigades” throughout the year. During the health brigades like the one I attended, students, naturopathic physicians and other volunteers are given first-hand experience in NDI’s community clinics and also study and discuss economic and social justice issues from global and health perspectives. These health brigades support the overall mission of NDI as well as provide invaluable experiences in global health for the participants. 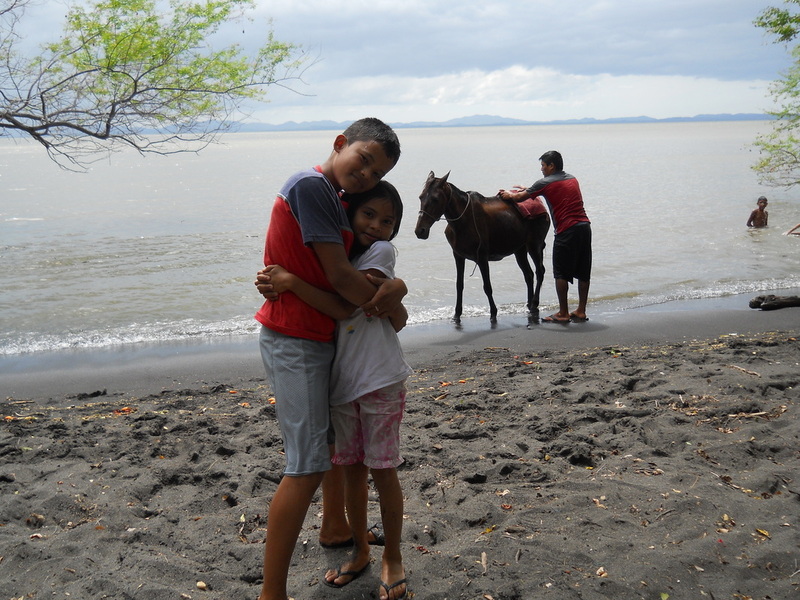 Because NDI delivers medical care at no cost to the Ometepe community, all of their funding for medicines, staff and facilities is based on the support and generosity of others. If you would like to learn more or donate directly to NDI, please visit their website at www.ndimed.org. 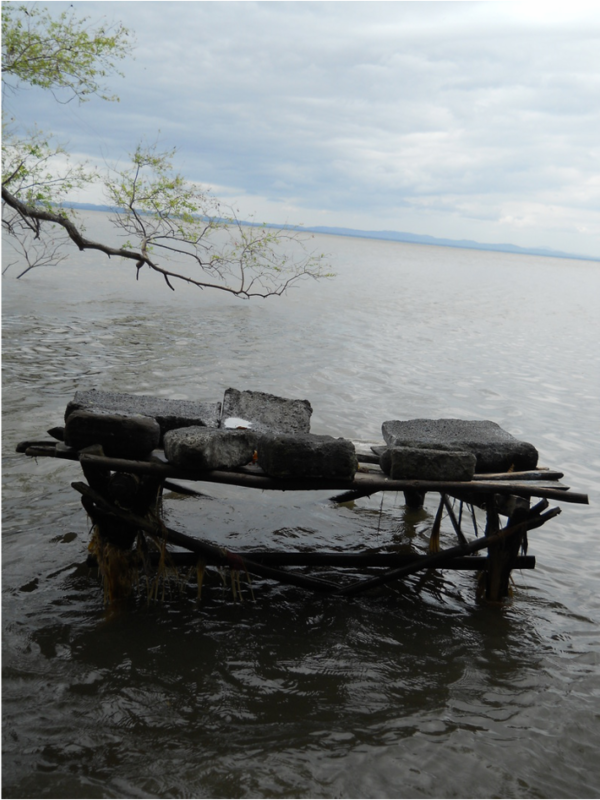 In February 2012, I visited the island of Ometepe in southern Nicaragua to help provide free naturopathic medical care to the community there, through Natural Doctors International. This island is made of two volcanoes emerging form a very large freshwater lake. There are many rural farming communities dotted around the base of these volcanoes and NDI is able to serve folks from all around the island. 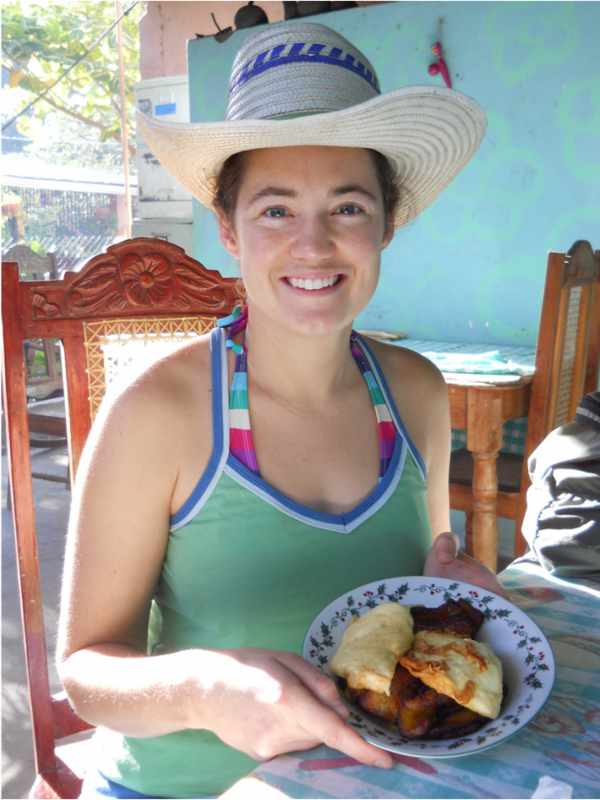 I had a wonderful time meeting so many gracious, kind and humble Nicaraguans. They welcomed us into their homes, shared their simple and gentle farming lives with us and gratefully received the natural medical care we offered. Dr. Tabatha Parker has been a practicing naturopathic physician living in the community of Los Angeles on Ometepe Island for over seven years now and is always welcoming doctors and students to visit and volunteer with her and Natural Doctors International, the grass roots non-profit that is growing there. We arrived safely in managua today and joined the rest of our group (students from the naturopathic college in Ontario, Canada). We are relaxing in a hostel this evening and getting up early to take a bus down to the ferry for Omotepe island tomorrow. It feels great to be travelling light and have everything I need for the next 6 weeks in my heart, head and on my back! The warm breeze feels great ...can't wait to get to the island and meet the patients! We had subway for lunch but from here on out its true Nica style for me...I love rice and beans. stay tuned for more updates and pictures when I can figure out how Ill download them. 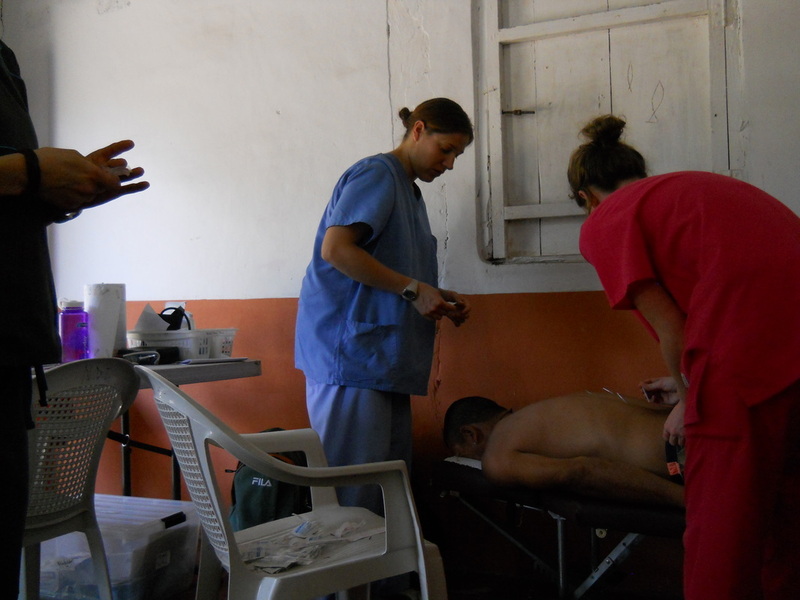 Monday, February 13th... Last week we saw 177 patients at the clinic as a group. It was great to hear their stories, see their strength, courage and smiles and share our resources and knowledge with them as we also learned from them. I have so enjoyed staying with my host family, Amada and Orderli, in Los Angeles. 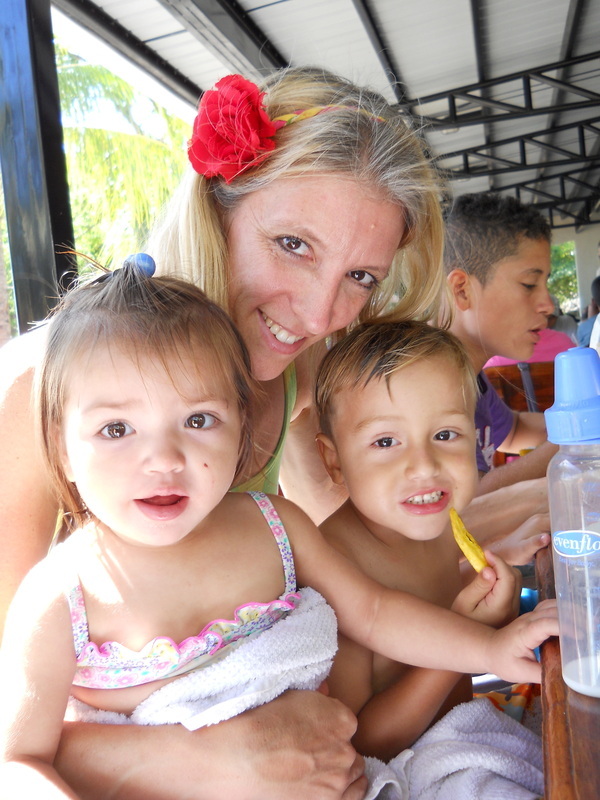 They have been so kind and hospitable to us, teaching us of their life and expanding my Spanish vocabulary. Two of their grandchildren befriended us, Sesia and Martin. 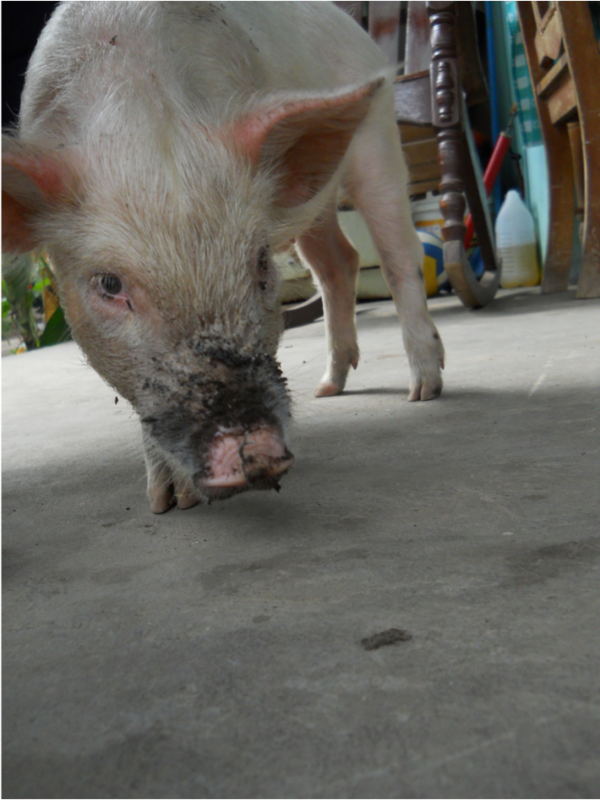 We swam and played with them in the lake and they taught us a card game we played many times and laughed at us as we petted the baby pig, Palomo, that runs around their yard along with all the chickens, dogs, cows, iguanas etc.... see photos below. I have been sick but am thankful to be here and experiencing life in this new place. NDI is an amazing organization, very rooted and a part of this small and greater community, a voice for the people and a friend. The community is so grateful for their presence (and ours as short-term volunteers as well). I am blessed. 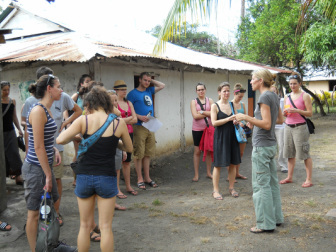 The NDI clinic on Ometepe Island (above). Seeing patients and discussing as a team of students and doctors (below). The kids were on a break from School so when we were not in clinic, Shawn and I mostly hung out with Sesia and Martin. Sesia is a great artist. 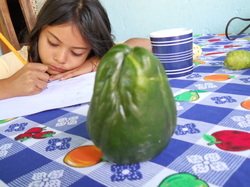 Here she is drawing teh fruits on the table cloth and my favorite Central American vegetable...chayote. In the background is a small unripe Noni fruit. Amada, my host mom, likes to eat it as it can help balance blood sugar for Diabetes. Martin, Sesia, Shawn and I spent many afternoons walking to the lake to cool off and play with the neighbor kids while their parents allowed the animals to drink or did the laundry on stone tablets in the lake. 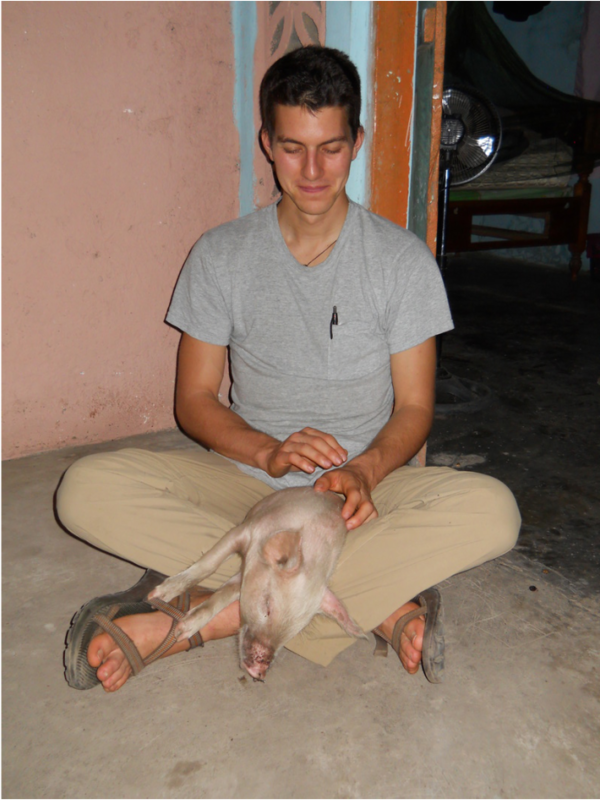 After a delicious dinner of local cuisine, we spent the evenings playing cards at the table outside the house, listening to Palome the muddy piglet grunt until he was comfortable cuddled up on Shawn's feet. Yum...Amada's fried homemade cheese and fried plantains...this may have been the day I got sick because almost all of our food was fried...but always served with love and generosity. 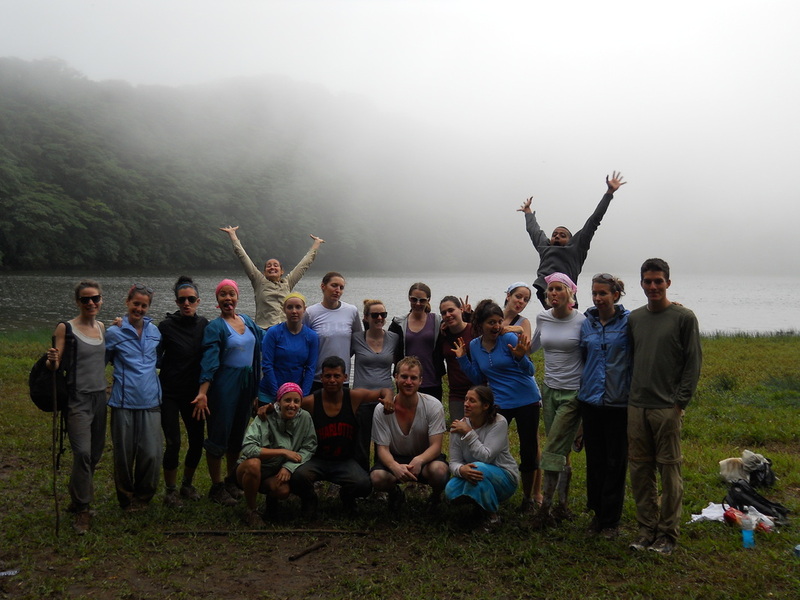 The whole group of volunteers at NDI hiked Volcano Maderas to the lake on top...it was a long muddy day but so much fun. 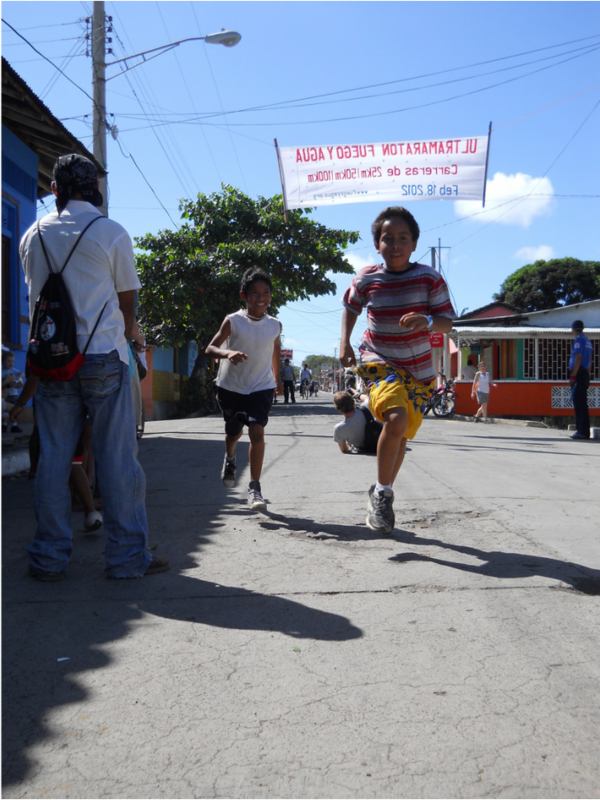 The day following the annual Fuego y Agua Ultramarathon, NDI hosted a kids run for the local kids and teens. 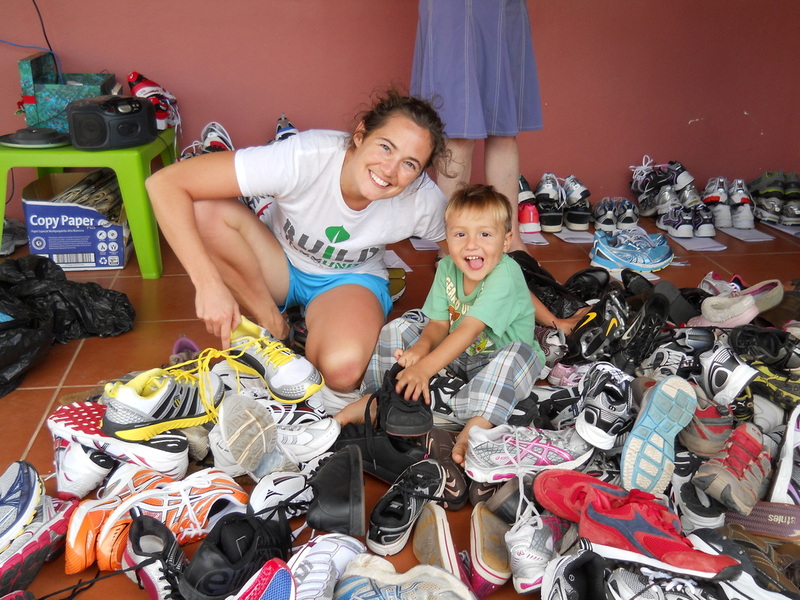 The participants who had run the Ultramarathon the day before (up and down both volcanos on the island totaling 60 miles in less than 24 hours) brought donated shoes and we at NDI organized and distributed them to the kid's teams on race day. It was an energetic early morning, organizing over 400 people in the rural highway where they would run 4 kilometers to Moyogalpa where lunch and a medals ceremony was waiting. 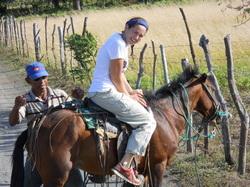 This was an interesting horseback ride with really short stirrups and a tired horse, Rosa. When we made it down to the lakeshore we saw white-faced monkeys sleeping in the trees above and the sun glancing off the waves under the palms and Ceiba trees. The hikes in this park are beautiful...a nice place to getaway for a few days if you ever find yourself on Ometepe Island. The folks at Hotel Venecia were kind and the food was good and affordable for a budget traveller. Thursday, March 22nd...I'm back in the states. What a wonderful trip! Such beautiful people and land. I am hoping to someday return to work with NDI again. Thanks for your support everyone! I would love to share stories so feel free to ask.